ActionAid Ireland is delighted to be shortlisted for the Dóchas Innovation Award for our Women’s Rights programme. This Award celebrates organisations taking new, creative, forward-thinking approaches in their work to address the increasingly complex and challenging environment in which we work. It recognises new thinking and approaches, risk-taking and alternative ways of working to address injustice and inequality relevant to today’s global context. 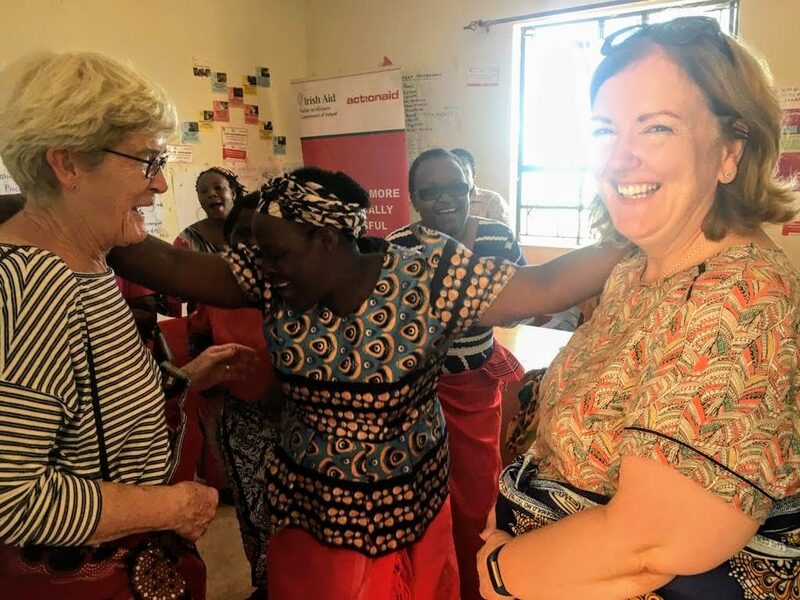 I just returned from Kenya where I had the privilege of seeing how our new Women’s Rights programme is changing the lives of women and children for good. In 2017 we adopted a new Behaviour Change approach to tackle the root causes of gender-based violence (GBV) following an evaluation of the previous programme which had successfully empowered women to understand their rights, and suggested we tackle the root causes of GBV in a deeper way. This happens by first of all analysing human behaviour and determining how it needs to change in order to improve outcomes for women and girls. The approach has enabled the grassroots groups we partner with, and ourselves, to better understand the capabilities, opportunities and motivations driving the behaviour that keeps women in poverty and facing violence by doing a deeper analysis and designing specific interventions that help to shift behaviours in the direction we want; to create safer communities for women and girls and improved economic opportunities for women. For this new five year programme (2017-2021) we partnered with University College London’s Centre for Behaviour Change to avail of their training and expertise in understanding and implementing the Behaviour Change methodology; they developed the Behaviour Change Wheel after analysis of many behavioural frameworks which led them to design this holistic approach. This programme is in its early stages but has already started to show positive results; such as a group of women I met in Kishuishe, Taita Taveta county, whose lives are safer and who have improved incomes since they started to engage with the programme. Likewise, in Garissa, Kenya, we worked with women’s groups to do an analysis of their own contributions to the underdevelopment of their community, by not allowing girls to have access to education. The same community in Garissa is now seeking funding to construct a secondary school for all children in their community and have already gained access to a piece of land on which to build. 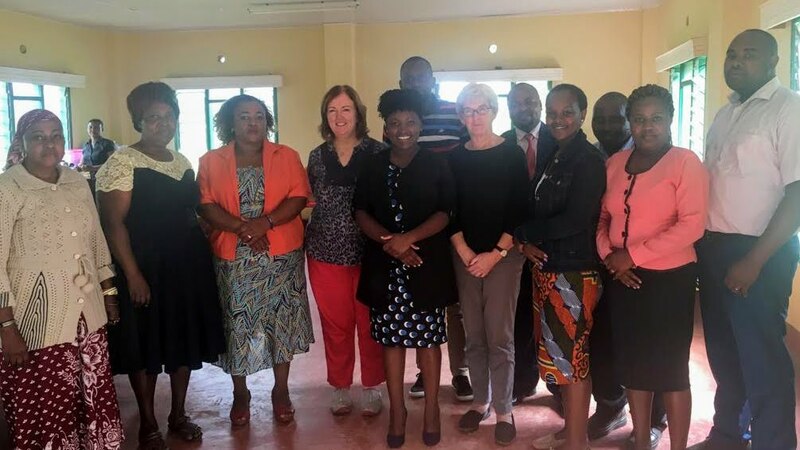 Meeting with the County Government in Taita Taveta county where we are working collaboratively to end GBV and improve economic opportunities for women. Our Women’s Rights programme is funded by Irish Aid and is being implemented in Kenya, Ethiopia and Nepal.